Stand out from the crowd and be seen looking glamorous, day or night! You can apply more than one colour to each nail to create glowing art. The colour in the photo shows day colour on the left and night colour on the right. For best results, remove sticky layer above base gel by using cleanser remover and top coat after curing. Don't apply too thick. Check colour after applying first layer, if too light, apply another thin layer. 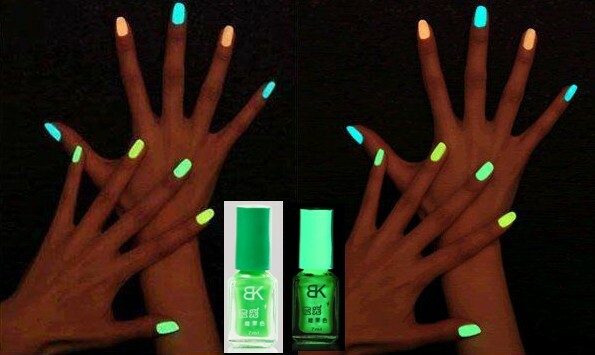 In order for nails to glow in the dark after applying the nail polish, the nails must be exposed to light first, just like any other glow in the dark product. Please allow a small deviation of colour from photo due to lighting.